HomeBlogDeportation DefenseTake it from a former judge: Quotas for Immigration Judges are a Bad Idea. 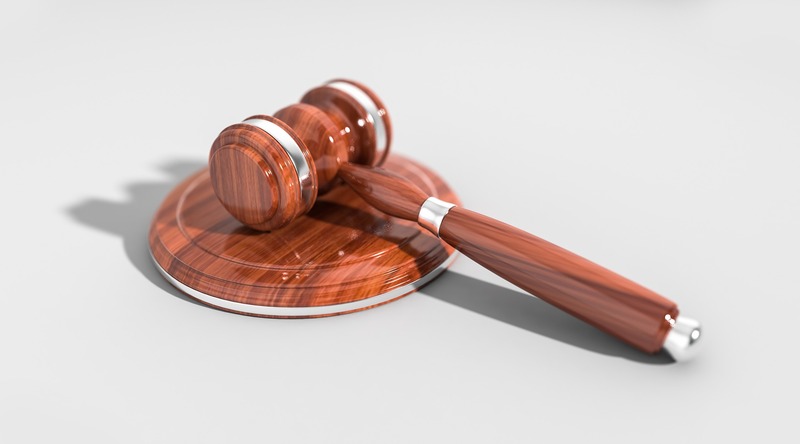 On March 30th, the U.S. Department of Justice and Attorney General Sessions announced that Immigration Judges will now be subject to case completion quotas. This unprecedented change will be effective October 1, 2018, and starting then, immigration judges will be subject to performance reviews (tied to job security and raises) that focus on meaningless numbers and disregards due process. As a recently retired immigration judge, I believe this decision is short-sighted and not fair to judges, or to the parties that appear in court on either side (government or immigrant and their families), or to our legal system. Attorney General Sessions says that the current backlog in immigration courts is a primary reason for this entirely new quota system; however, I know from experience that quotas will not reduce the backlog and will, in fact, increase our current backlog problems. About 15 years ago, former Attorney General John Ashcroft attempted to reduce backlogs at the Board of Immigration Appeals (the court that hears all the appeals from immigration judges’ decisions). Ashcroft eliminated the Board’s authority to review de novo (or, review as if hearing the case for the first time) decisions of the Immigration Judges with regard to findings of fact and determination of an immigrant respondent’s credibility. As a result, the Board began issuing summary two-page decisions, with little or no legal analysis. Those shortened decisions did reduce the amount of time cases were pending before the Board of Immigration Appeals but had the opposite effect on the actual backlog of immigration cases as thousands of petitions for review were filed throughout the country with the Courts of Appeal. Given the increase in the number of filings and the decrease in the thoroughness of the decision, the Courts of Appeal became extremely hostile to the quality, professionalism and final agency work product of the immigration court judges and particularly the Board. Many cases were remanded, or sent back to immigration judges, for new hearings based on perceived mistakes at the trial level or at the Board, resulting in further delays in court processing times and the issuance of final decisions. Attorney General Sessions would do well to learn from his predecessor’s mistake. Sessions’ mandate that the judges decide cases “faster” and more “efficiently” ignores the fact that the immigration court judges are currently rendering decisions in a timely manner. However, immigration judges must also follow the constraints of due process, which means giving both sides an opportunity to present their case and then for the judge to fully consider the applicable law and issue a thoughtful decision. A system that evaluates immigration judge performance based on how fast they can complete cases will certainly undermine the quality and thoroughness of decisions. Current law and our legal system require full and fair hearings, followed by a well-reasoned decision that is consistent with the facts and relevant law. An immigration judge should be evaluated based on quality, not quantity. Moreover, quotas will likely produce hastily-made decisions and result in grave errors. As we have seen before, poor decisions will directly result in more appeals to the Board of Immigration Appeals and the Courts of Appeal, causing more delays and running contrary to the goals of the Attorney General. An equally troubling consequence of the case completion requirement is the possibility of a judge’s decision being influenced by factors outside the facts of the case. For example, the court is asked for a continuance in many cases to await action or decision by the U.S. Citizenship and Immigration Services (USCIS) on pending applications. Such applications are “u” visas for crime victims, I-601A waivers for unlawful presence, I-130 visa petitions for family members of residents or citizens, or I-751 applications for certain individuals married to US citizens. By law, immigration judges cannot make a decision on these applications; USCIS has sole jurisdiction to make those decisions. To date, case law supports judges granting continuances, when it makes sense, in circumstances like these. However, under the new quota system, a judge could be influenced to deny a request for a continuance he or she otherwise would have reasonably granted, solely because of his concern about his completion numbers and keeping his job. That is not justice; it seems more like an assembly line. Similarly, in some cases, a continuance may be necessary because of the need for additional evidence or because of a witness’s unavailability. But now, a judge will be hesitant to grant such a continuance if he is concerned about his completion numbers, salary, or job security. Additionally, an arbitrary case completion number of 700 ignores the wide disparity of cases appearing before the immigration courts. Unrepresented cases at the border or cases in detention often are completed in an expedited fashion where little or no relief is sought. However, in many of the interior courts, such as in Chicago where I was a judge, most applicants are represented, present multiple witnesses including experts, and submit sophisticated legal arguments requiring extended trial time. These interior courts complete far less merit cases than at the border, yet the decisions often involve more complex legal issues. To provide context, I’d guess that judges in the interior, working the same hours and pace as judges on the border, probably complete 400 or 500 cases per year. To average the nationwide completion rate completely ignores the wide disparity of decision complexity required in different parts of the country. Finally, the new quotas are an affront to due process and our legal system. Immigration judges are required by law and the Constitution’s Fifth Amendment to exercise due process in all cases, considering all the facts of the case. Judges currently do this and issue decisions in an expeditious manner as soon as possible; judges do not purposefully stall cases. Putting artificial pressure on judges to complete cases more quickly is wrong; Attorney General Sessions is essentially asking the judges to shortcut or violate due process, by disregarding thoroughness, fairness, and litigants’ opportunity to be heard, and abandon current law-abiding procedures for case adjudication. In short, I believe the administration’s plan to impose numeric quotas on immigration judges will not speed up “deportations” if this is their goal and may result in unforeseen consequences that actual delay the fair hearing process that presently exists.